The styling is definitely different than their royal robes and hair. 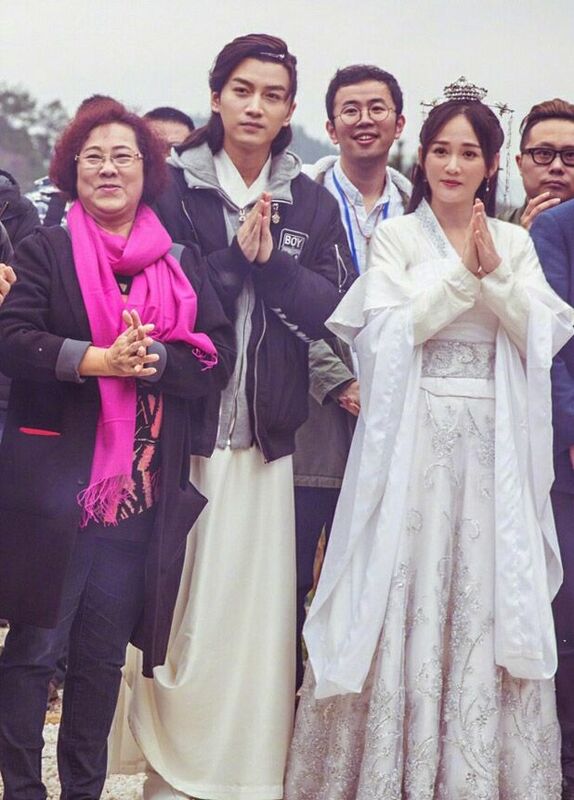 Chen Qiao En looks very youthful and cute and Chen Xiao looks more mature as well, though nothing beats him in the kingly costume. 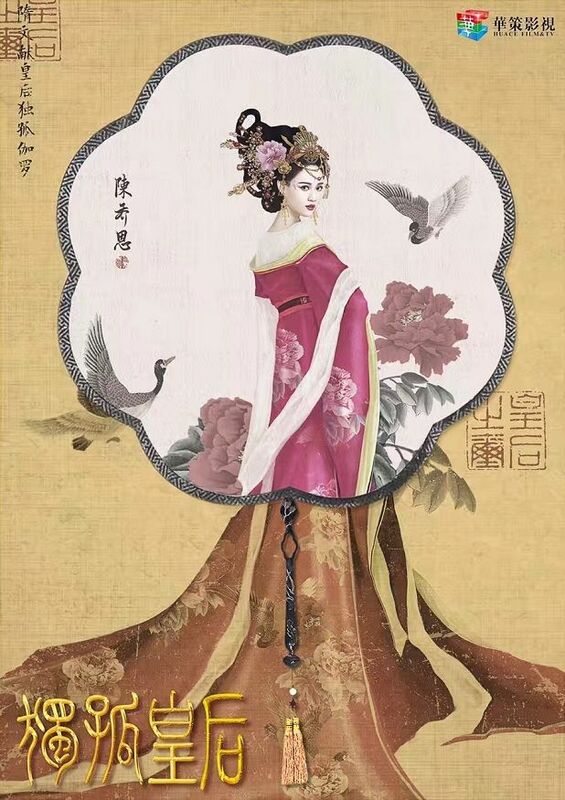 Dugu Huang Hou (Empress Gugu) or The Unique China Queen (独孤皇后) retells the unique love story between Emperor Wen and Empress Dugu, highlighting the promise that he won’t let another woman have his kids (birth control methods? Just kidding! Lol.). 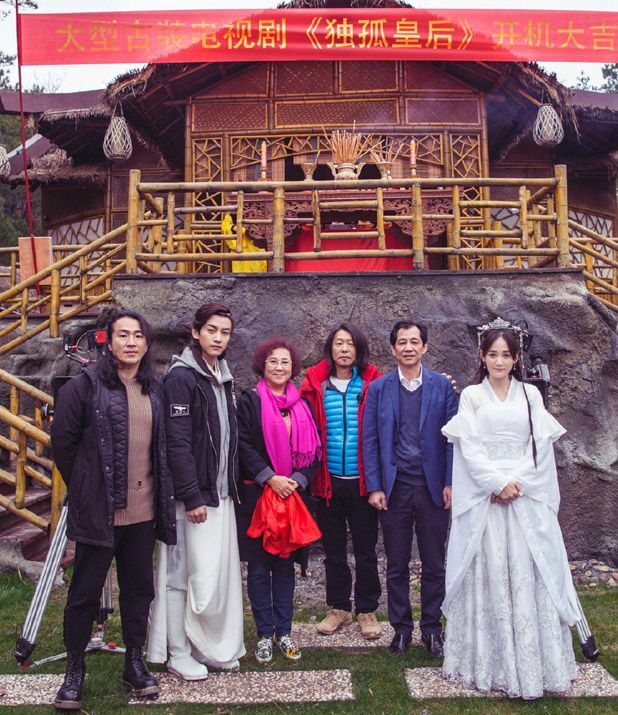 And yes, there’s another version with Hu Bing Qing and Zhang Dan Feng called The Legend of Dugu. Chen Qiao En. 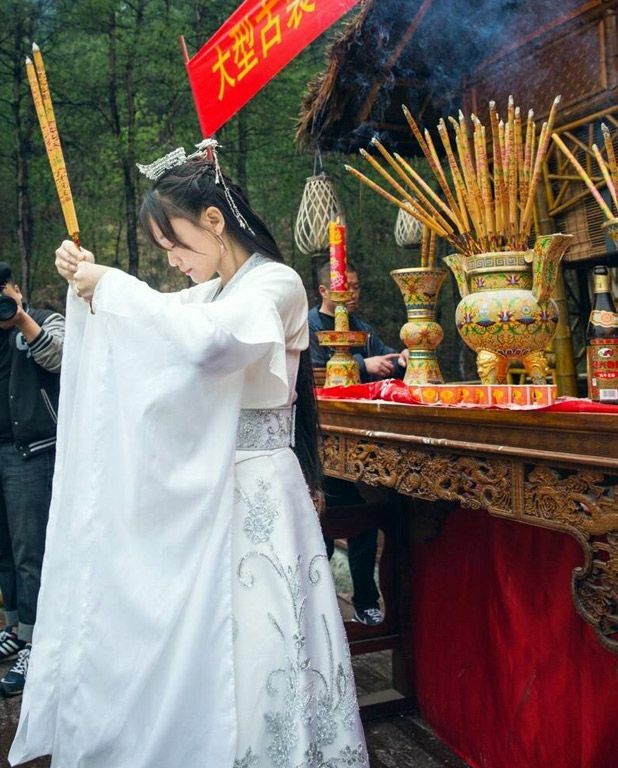 This Empress is known for her kindness, impartiality, and frugality. This sounds familiar, where have I seen this heroine before? Lol. 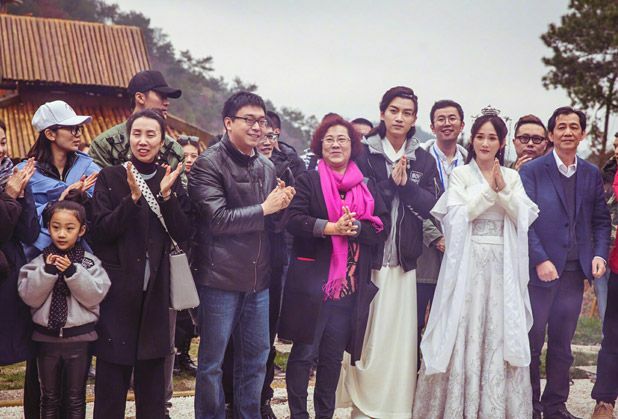 This entry was posted in Entertainment News and tagged Booting Ceremony, Cdrama, Chen Xiao, Joe Chen Qiao En, Queen Dugu (独孤皇后) by Kappy. Bookmark the permalink. Wow Joe Chen look really pretty. & of course Chen Xiao is handsome as always. Lol since Joe is best friend with Michelle. I wonder if Michelle going to go visit her husband or best friend. Cannot wait to see both TV series. But for now I prefer Tangren version because I already know Tangren works compare to Huace. Will revised my opinion later after watching the series. 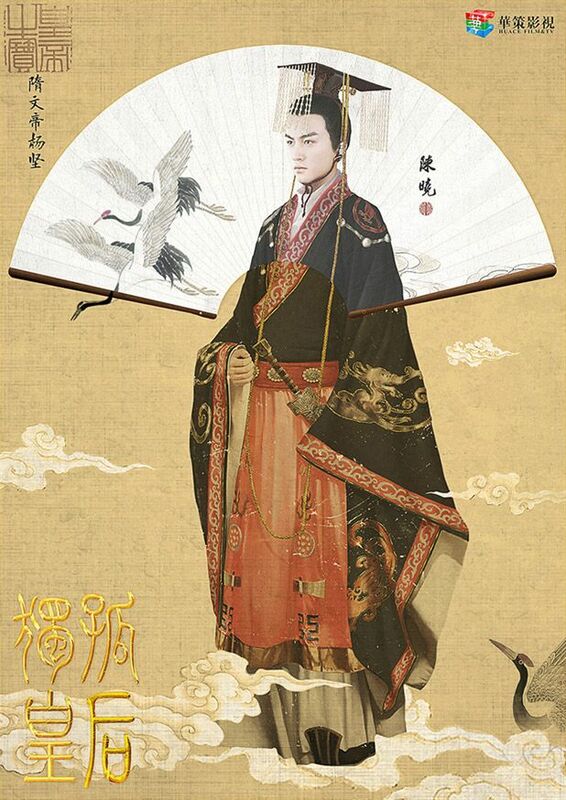 chen xiao look in the pic reminds of his character Bai Yu Tang in The Three Heroes and Five Gallants. 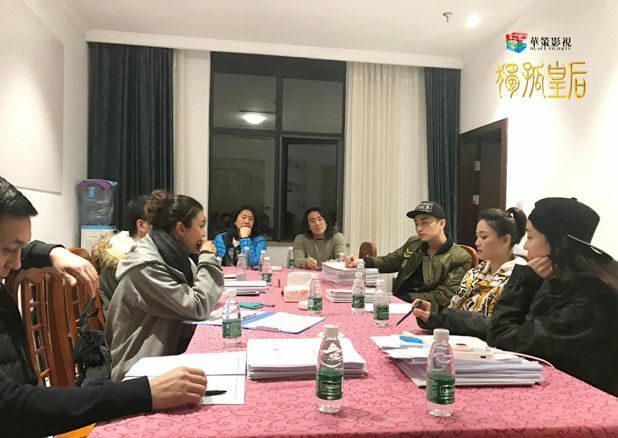 i wonder if season 2 is in the work? I prefer his top here more, Yu Tang puffy mounds didn’t sit well with me. Lol. I haven’t heard of S2. 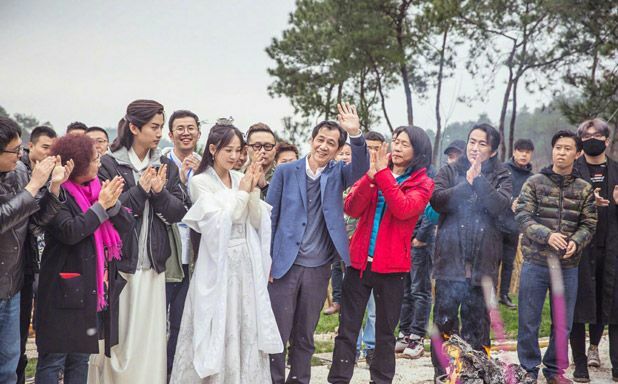 It was already hard to get them three together in S1 (hence very little scenes), now with all three starting new dramas soon, I don’t think it will be anytime soon, unless they change the main cast. Def looking more to this version because of the cast. Joe looks like Irene Wan from her younger days at TVB. Is it me or Joe face look more swollen? I also like the rounder face of JC. Extremely sharp chin angles have been the norm for soooo long, it really stands out when you see an actress with softer facial features. Looks aside, I am keeping an eye on this production. 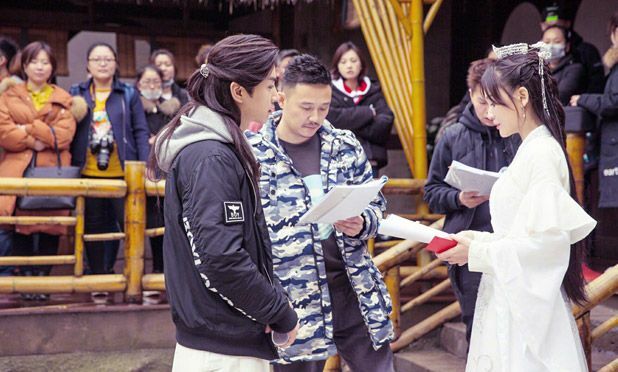 JC and CX are two people I like a lot separately, but never knew I’d be interested in seeing them in a drama together until this.